What would you like the message to say? Hey, take a look at this great nonprofit webinar Free Webinar: Asking Styles: A Revolutionary Concept in Fundraising (Recording) at CharityHowTo! There is no one right way to ask for a donation. Some people take great care preparing well-organized and complete presentations. Others prepare with just a few talking points and then use the energy of the prospect to guide the conversation. Some people are energized by the prospect of tying down a gift. For others it is a great act of courage. You have your own Asking Style, and if you learn to ask in your Style, you will be more comfortable, confident and successful as an asker. Are you a Rainmaker? Go-Getter? Kindred Spirit? Mission Controller? A mix of two Styles? 1. You get a free CharityHowTo account. 2. Your slides will be added to your free CharityHowTo library. 3. 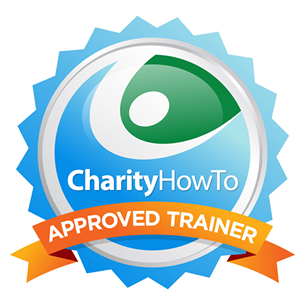 The webinar recording will be added to your CharityHowTo library. 4. When logged in you can browse and add other FREE items to your CharityHowTo library. 5. You can access and view your webinar recordings and slides anytime, anywhere. Brian is the president of Asking Matters, a web-based company that teaches people how to fundraise and motivates them to get out and ask for gifts. He has spent more than 30 years in the non-profit community, most of those as a front-line fundraiser for a variety of organizations including Brandeis University, Northwestern University Settlement House, Hudson Guild, and The Children's Brain Tumor Foundation. He consults, trains, and speaks regularly around the country on the topics of asking and, more generally, fundraising. He is the co-author of two e-books: Inspire Your Board to Give and The Asking Matters Guide to Selecting Prospects.